When handling phone calls with TwiML, you have many options for controlling the caller’s experience. You can something in a robot voice, other numbers into the call and even the call. My personal favorite is the ability to play audio files over the phone using the TwiML verb. You can even create your own version of Dial-A-Song, a hotline run by the band They Might Be Giants that allows you to listen to their music if you call the number (844) 387-6962. Today I’m going to show you how to make and receive phone calls using the Node.js Twilio library. We will also be using some ES6 features to “spice things up a notch.” What better way to show what we can do with Twilio voice than to allow the callers to rock out over the phone? Here is our code in full on GitHub if you want to skip straight to having a working app. We are going to need to grab some gear and tune up first. For starters, you’ll need to have have Node.js and NPM installed. 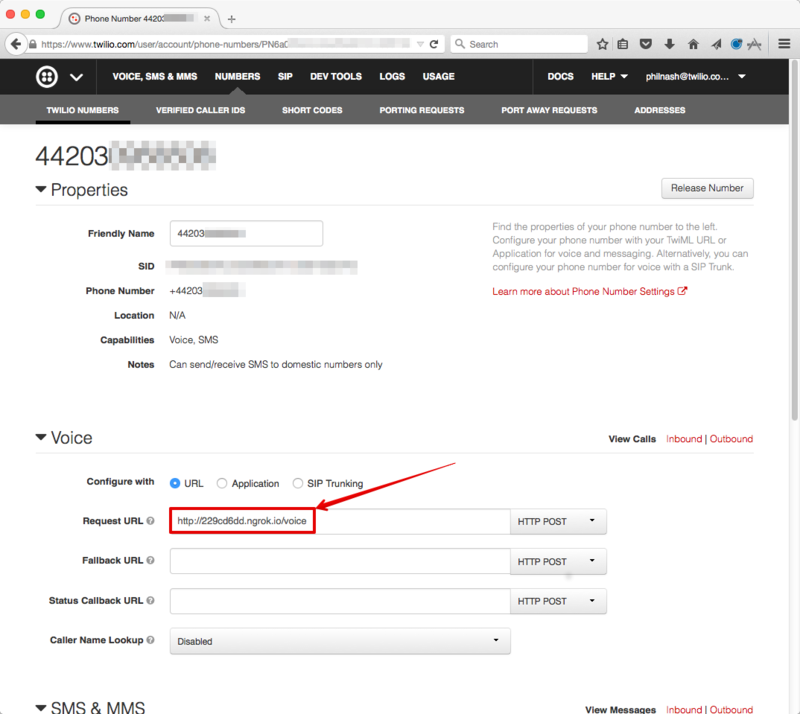 You will also need to create a Twilio account and purchase a phone number with Voice capabilities. This will generate a package.json file that will contain all of the information about our project. Feel free to breeze through the prompts if you are not interested in customizing the default options. After you have that taken care of we can install our dependencies. Now that we have all of our dependencies installed we still need one important thing: a song to play over the phone. I was having trouble figuring out which tune would be appropriate until I realized there exists a song that goes with everything. 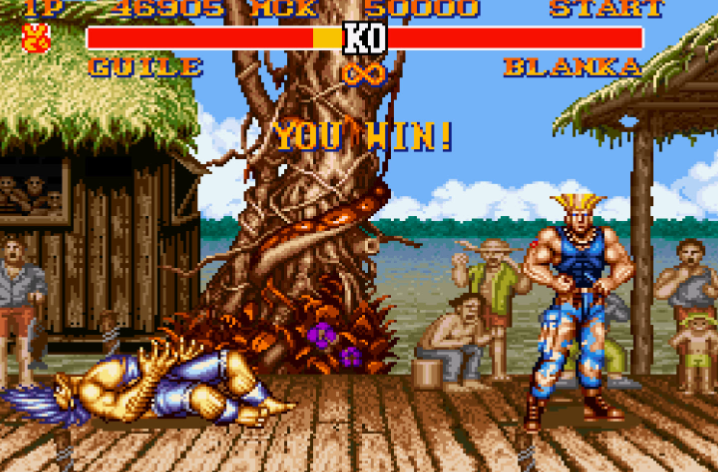 For those of you who don’t know, this is the infamous Guile’s Theme from Street Fighter 2. Luckily for us there exists even better versions of this tune provided by the wonderfully talented community of musicians at OverClocked ReMix. A band called Shinray did a metal remix of Guile’s Theme that manages to surpass the original in terms of epicness. This is freely hosted online making it a perfect candidate for our phone call’s soundtrack. Try calling (347) 826-3536 to hear “Guile’s Theme Goes with Metal” over the phone for a sneak peek at what we are building. Now we are ready to build our application. The first step is to create a web app that will respond to incoming HTTP requests with TwiML – a set of XML tags that will tell Twilio what to do when you receive an incoming call. This web app will generate TwiML instructions to play the mp3 file of the Guile’s Theme remix that we are using. Let’s start working on our Express app to take care of this. You may not be familiar with some of the new features of ES6 so let’s walk through the code that our app will contain step by step. Fire up your text editor and create a file called “index.js” where we will write our app. Next we need to create an app object and add a route to it that will accept HTTP requests from Twilio. Notice that we used the new arrow syntax in the anonymous function that we passed to app.post() rather than using the traditional function keyword. Arrow functions lexically bind the outside scope’s this variable to the function that you’re writing. // Play Guile's theme over the phone. // Set the response type as XML. // Send the TwiML as the response. // Make our Express server listen on port 3000. We are using another anonymous arrow function, but this time it will be a one liner withno arguments. It may look strange at first, but this syntax allows us to keep things concise. In order for Twilio to see our application and for us to be able to receive phone calls, we need to expose our server to the Internet. We can do this using ngrok. If you want to learn how to set up ngrok, you can follow my buddy Kevin’s tutorial. You should see a screen that looks like this with a generated link that we can visit to access our Express app. We need to add this URL to our Twilio phone number in the account phone numbers dashboard so Twilio knows to send us an HTTP request when a call is received. It’s time to win round one of our battle. Whip out your phone and give your Twilio number a dial to have quite possibly the most epic phone call of your life. 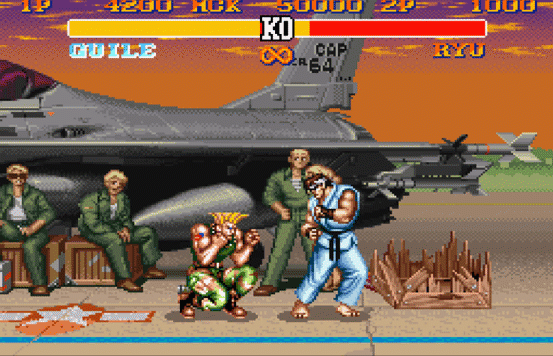 Being able to call a phone number to hear a rockin’ version of Guile’s theme is a ton of fun. But we can also start the call ourselves with a little bit of code. This involves using the Twilio REST API. We are going to write another quick Node script that will send a phone call to a number of your choice using the TwiML we generated earlier to play the same song. // Account SID and auth token are stored in environment variables. Don’t forget to replace the variables with their appropriate values (a phone number to call for testing, your Twilio number, and the URL to the TwiML that your Express app is generating). No need to add these to your code, because upon initialization of the REST client object, the Twilio Node module checks to see if these environment variables exist. 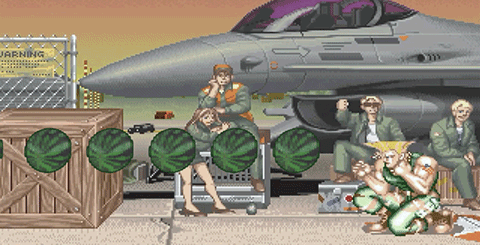 Now listen in amazement as you once again experience the epicness of Guile’s Theme, this time initiated by your code. You’ve won round 2 by implementing an app that can make and receive phone calls using the Twilio Node.js module, and even got it running with newer ES6 features. You are now ready to change your app to play different music files or utilize some of the other TwiML verbs that you haven’t messed around with yet. I am excited for you to move on to the next round, and look forward to seeing what you build with Twilio Voice. Feel free to reach out if you have any more questions or want to show off your hacks.